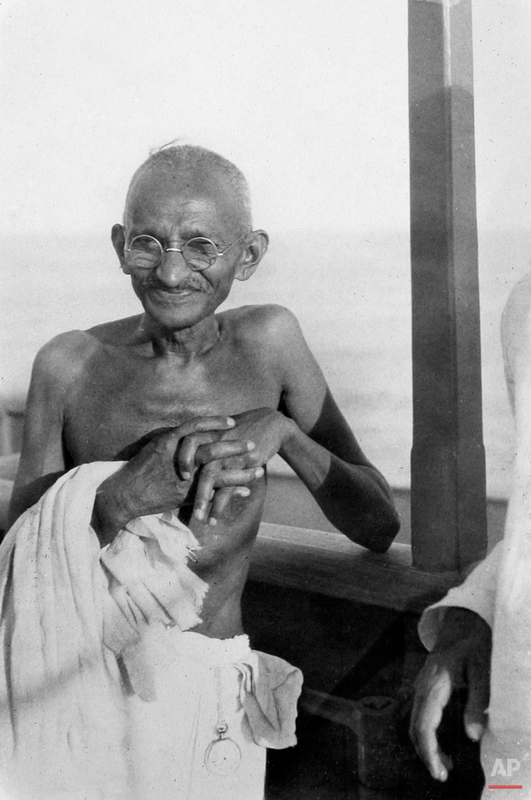 Mohandas Karamchand Gandhi, known as Mahatma Gandhi, was born October 2, 1869. 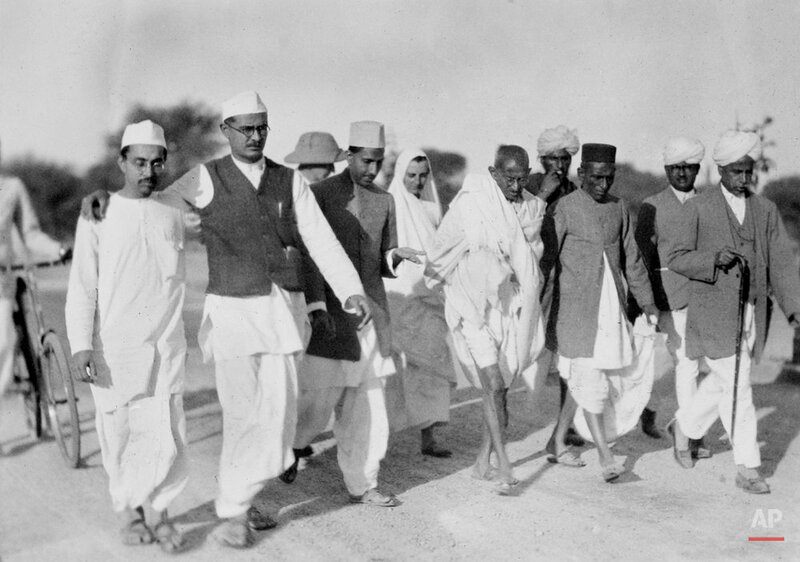 He was the primary leader of India's independence movement. 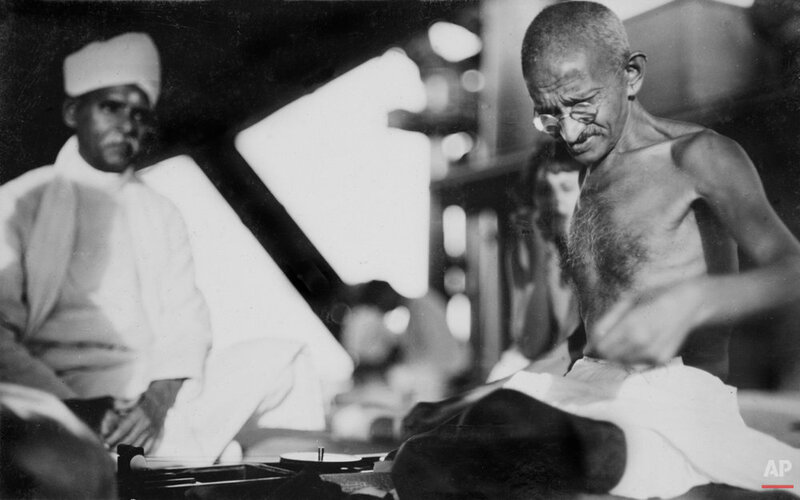 Gandhi was known for his practice of non-violent civil disobedience that would prove influential throughout the world. 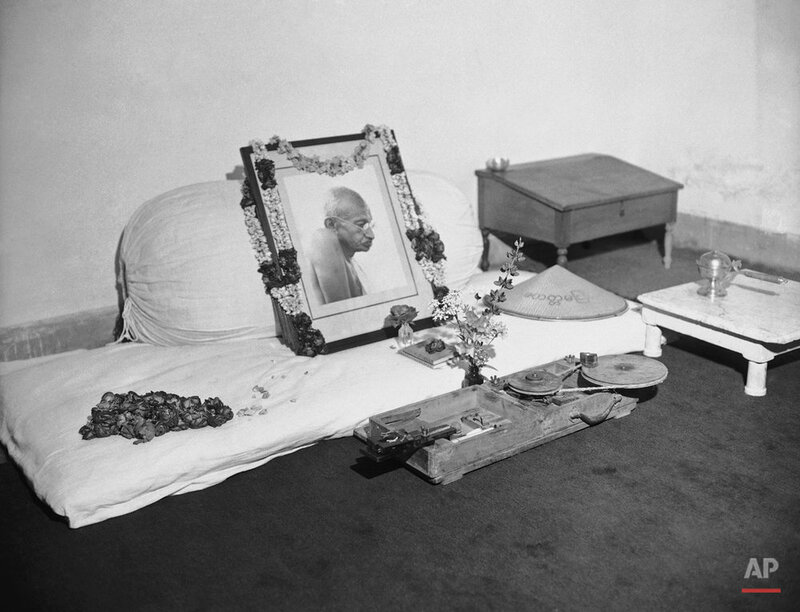 On this day, Jan. 30, 1948, Gandhi was assassinated by a Hindu extremist. Below we feature a selection from the Associated Press photo archive, including images by AP reporter James A. Mills and from Pulitzer prize winning photographer Max Desfor. Archivist update: Martin Luther King Jr.